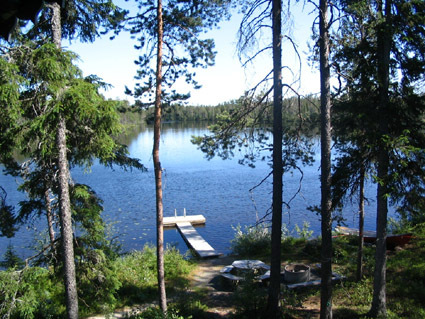 45 km north of Kuusamo, L.Kitkajärvi 20 m, shallow, hard sand bottom, jetty, own boat. 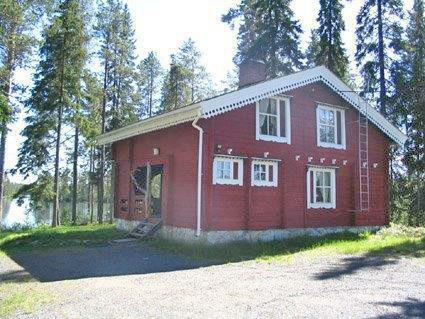 Laminated log cottage, downstairs living room/kitchen, bedroom with double bed and child's cot, WC, sauna (wood-heated, entrance to the sauna from the terrace). Upstairs lounge with fireplace, sleeping alcove with 2 beds, sleeping recess with 1 bed and bedroom with double bed. 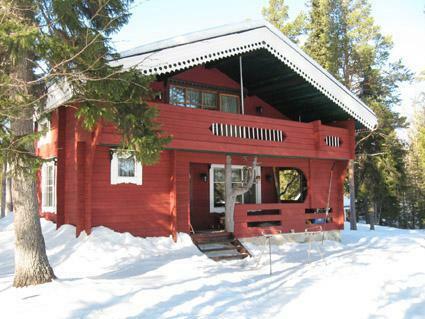 Lovely, peaceful location, nearest neighbour 200 m. Ruka Ski Resort 17 km away. 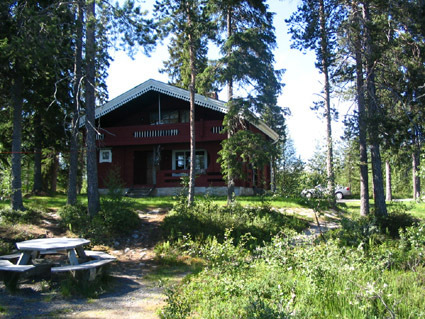 Maintained ski trails, connection with Ruka ski trail network. 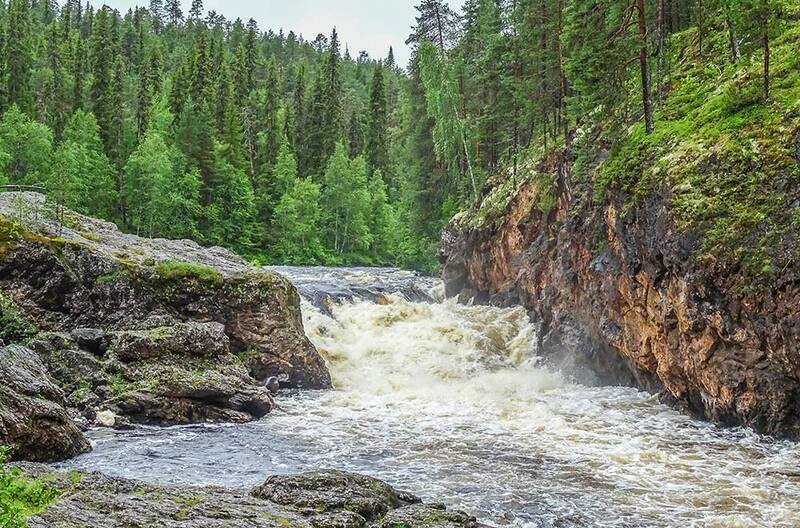 Close to natural sights of Kuusamo; Karhunkierros hiking trail 6 km, Kiutaköngäs falls 15 km. 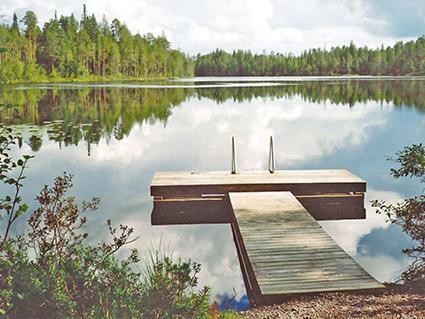 Owner provides programme services by arrangement, including 'rapids shooting', guided spoon trolling. 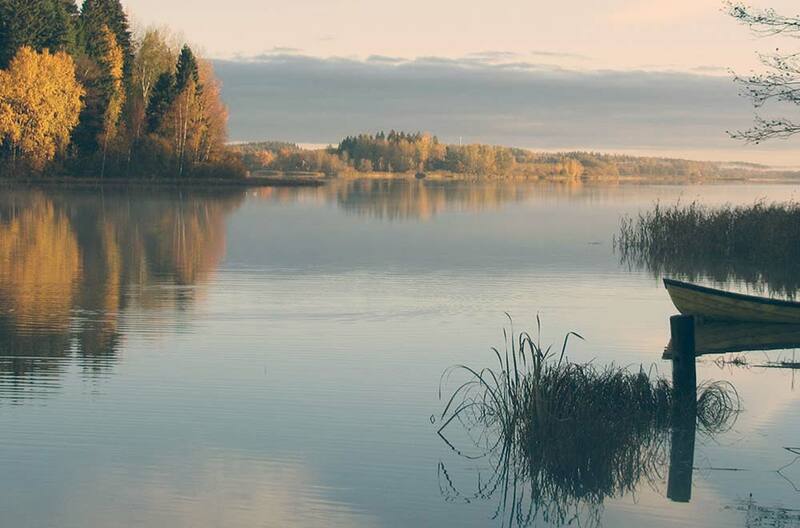 For hire outboard motor, canoes and snowmobile. Weekend bookings valid from 16:00 Friday to 12:00 Sunday. We recommend you to book final cleaning.